Our website tools and features are the same, whether or not you purchase one of our 'click and buy' website templates, or build your own website from scratch. We are talking about QuickontheNet.com, the unique website builder service from Quick on the Net Limited. Do it all online, through your web browser e.g. Google Chrome, Mozilla Firefox, or Microsoft Internet Explorer (IE). Use a PC or a Mac. There is no need to download any software. Web hosting is already included as part of the service. To help get you started, we offer ready-to-go colour schemes, but when you sign-up, you can create your own unique colour scheme. You can change the style, layout and content of your site at any time. We provide you with a car logo (car profile business logo). If you prefer, you can insert your own driving school logo. You can upload your own photos (perhaps a few photos of your car). You can create click-through photo galleries. You can embed videos and create a searchable video gallery. You can add PayPal payment buttons and take online payments from your customers. You can embed a clickable interactive Google Map for your business region. We offer flat-coloured menu buttons as standard. You can also upload pictures/images to be used as menu buttons. You can upload a Favicon, to be displayed on your bookmarks or favourites bar. Your website includes a contact form, so new customers can get in touch with you. It also includes 'site search' and 'email a friend' features. We have prepared a selection of standard menu items for your driving school website; but you can change, delete or insert new menu items. For example, if you offer 'Motorway Tuition', 'Instructor Training', 'Pass Plus', or whatever, simply add these menu items to your website. We offer free help and support services. We support Google Webmaster Tools (Google Verification), Google Analytics (website verification) and Alexa (site verification). We cannot say it enough times, but this solution is quick and easy. When using the ‘own domain’ upgrade, our customer websites enjoy excellent performance on all of the major search engines, including Google, Bing (MSN) and Yahoo. 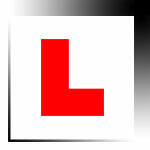 We offer a stylish range of website templates for driver training and driving schools. We have done everything possible to give you the ultimate creative freedom with your new website. You can use one of our templates as a starting point and then customise it for your own use. For example, you can easily add your own business logo, change the colours around and upload your own car photos. You can also add and remove menu buttons or web pages to suit your needs. You don't need a credit card account or email address to try it out, so let's get started.